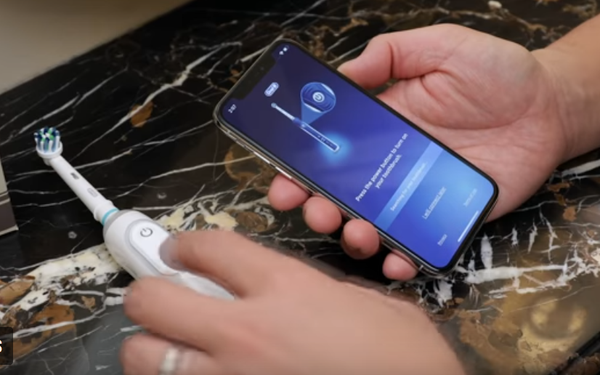 Oral-B is getting ready to unveil its new Genius X electric toothbrush with an artificial intelligence feature that tells you the spots you’re missing, among other information. It requires an app that monitors your brushing techniques and suggests improvements with “personalized coaching.” It also keeps an online log of how you’ve been doing. It’s recommended that people brush their teeth for two minutes, but most people have much shorter sessions. The Oral-B brush lets you monitor that. A red light on the device also lights up when you brush too hard, another common bad habit that Oral-B Genius X tries to stop. Oral-B sees even more opportunity in this area as AI develops “Imagine: What if a future dental device could tell all you need to know about personal health, and could connect directly with your dental and health professional whenever it’s needed, seamlessly, and as early as possible?” asks Stephen Squire, Oral-B’s global brand director. The electric toothbrush market is predicted to reach $3.77 billion by 2023, up from $2.20 billion in 2016, according Allied Market Research. Three quarters of all electric toothbrush users are in the U.S. and Europe. Philips’ Sonicare and Oral-B, a unit of Procter & Gamble, are two top sellers, and it appears both get high marks from dentists. In the U.S., about 119 million people used an electric toothbrush according to data from the 2018 Simmons National Consumer Survey. About 190 million don’t, and 12 million don’t know or won’t say. Oral-B is not first to market with an AI brush. That distinction appears to be owned by Kolibree, a French company that showed off its AI brush for the first time in January 2017 at the Consumer Electronics Show in Las Vegas. Along with its own branded product, it also makes one for Colgate. Prices range from about $60 to $150.